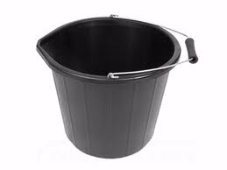 Economy builders bucket/ general purpose 3 galllon bucket. Plastic with wire handle. Black only.